Dogs are pretty spectacular creatures. They can be bouncy, loving, unpredictable and that’s exactly why we love them. These creatures truly are man’s best friend. But one family has a real sneaky pup on their hands. Neighbors started spotting a dog on a roof. 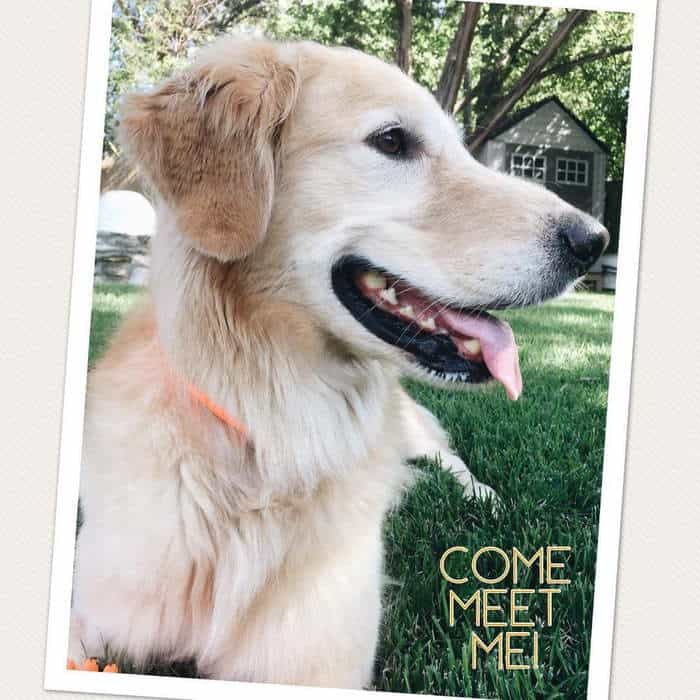 Huckleberry, a five-year-old Golden Retriever from Austin, Texas, isn’t like most other dogs. He doesn’t like relaxing on the couch or chasing a ball around a field. 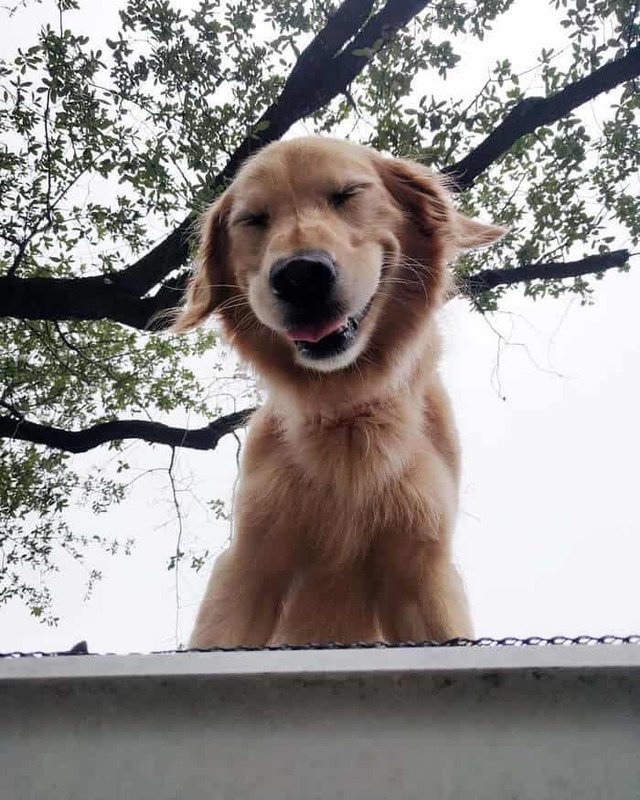 He likes climbing up on to the roof of his family’s home. 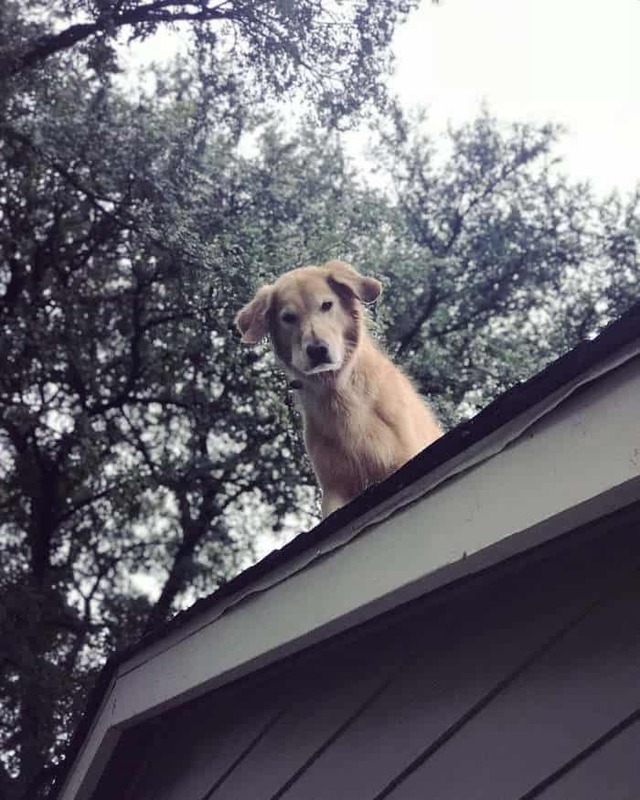 Because Huckleberry tends to spend so much time climbing onto the roof of his house, the family was constantly bombarded with knocks on the door from worried neighbors and dog lovers who passed by. To try and minimalize the concerns of their neighbors, the family chose to create a sign which explains their dog’s silly behavior. The sign starts with “DON’T BE ALARMED!! !” It must have worked because the knocks on the door have definitely decreased. 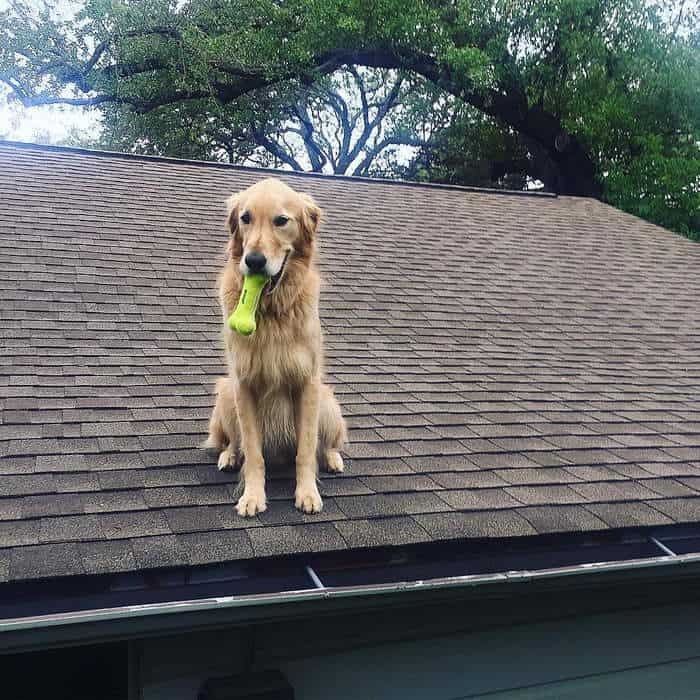 Huckleberry is living up to his name and learned how to jump onto our roof from the backyard. We never leave him in the backyard without someone being at home. He will not jump off unless you entice him with food or a ball! 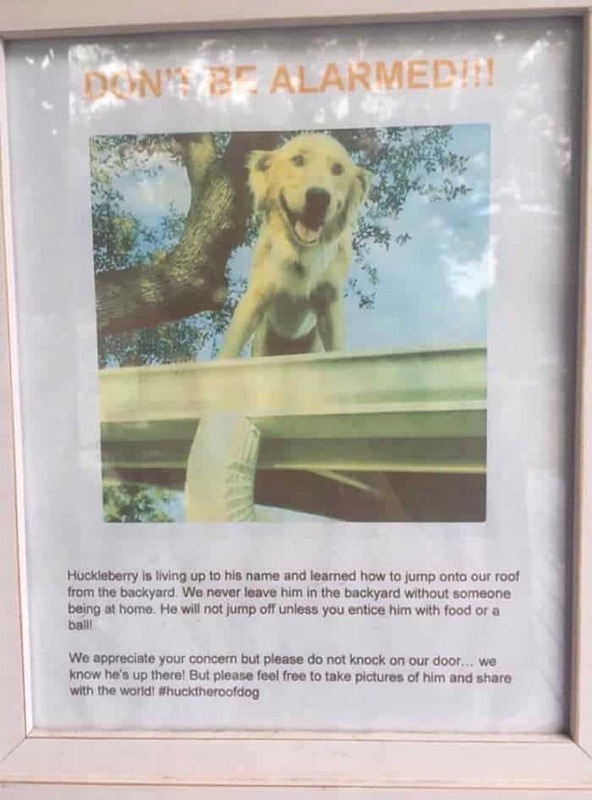 According to Huckleberry’s owners, Justin and Allie Lindemuth, he started jumping on the roof when he was nine months old. Almost every morning he heads up to the roof. “We call his time up there his ‘roof time.’ It’s kind of like his morning coffee,” Allie explained. Subscribe to receive a little dose of happiest in your inbox twice a week and a chance to win prizes! You're amazing! Whilst you're here, why not spread some joy and share a little happiest with your friends. Subscribe to receive a little dose of happiest in your inbox every day and a chance to win great prizes. No Thanks. I’m happy enough. You are Amazing. 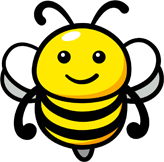 Whilst you are here, why not spread some joy and share a little happiest with your friends. Get your daily dose of Happiest. If you'd like to receive daily updates then register to receive notifications directly to your browser.